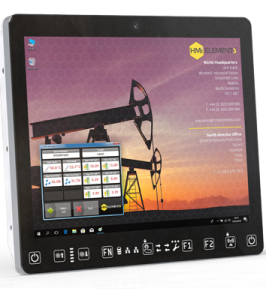 The latest addition to HMI Elements’s range of hazardous area HMIs is a slim and lightweight PC, with a super high-bright 19”, 1000 nit multi-touch glove-friendly touchscreen. As you would expect from HMI Elements it comes certified for use in Class I Zone 2 areas with Ethernet and WiFi as standard and a choice of operating voltages. IR filtering and anti-glare coating. 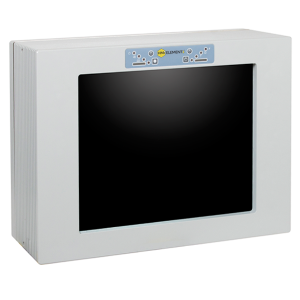 The HMI-Elements range of industrial PCs for use in the hazardous area consists of the 800Z1 & 900-Z1 with their Pentium M processors. 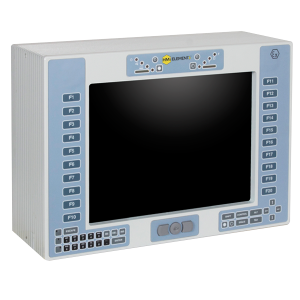 With no requirement for purging, all HMI-Elements computer models are ATEX certified for use as HMIs in Zones 1 and 2.